Kumail Nanjiani is teaming up with Issa Rae for a new romantic comedy called The Lovebirds. The best part? The project will see Nanjiani re-team with Michael Showalter, whom we worked with previously on The Big Sick and, as these things go, that turned out quite well. Showalter will once again be in the director’s chair for their latest collaboration. Paramount Pictures is behind this new comedy and it seems as though they’re quite excited about what they’ve got, as it’s reportedly being put on the fast track. So, with any luck, we’ll see this in theaters sooner rather than later. According to a new report, The Lovebirds is set to begin filming at the end of January, meaning it should have cameras rolling in just a couple of weeks at the latest. The script comes from Aaron Abrams. Brendan Gall and Martin Gero, who is also on board to produce alongside Tom Lassally, Oly Obst, Todd Schulman and Jordana Mollick. MRC is also on board to both co-produce and co-finance the movie with Paramount. Kumail Nanjiani, Issa Rae and Michael Showalter are also serving as executive producers. The Lovebirds revolves around a couple, to be portrayed by the aforementioned leads, who are on the brink of a breakup. The pair then finds themselves caught up in a bizarre murder mystery with antics aplenty. As they draw closer to clearing their names and cracking the case, the duo also must figure out how they, and hopefully their relationship, can survive the night. It sounds like there could be some Date Night and Game Night vibes in there. Couple the premise with a very compelling comedic duo and this becomes a very promising package. 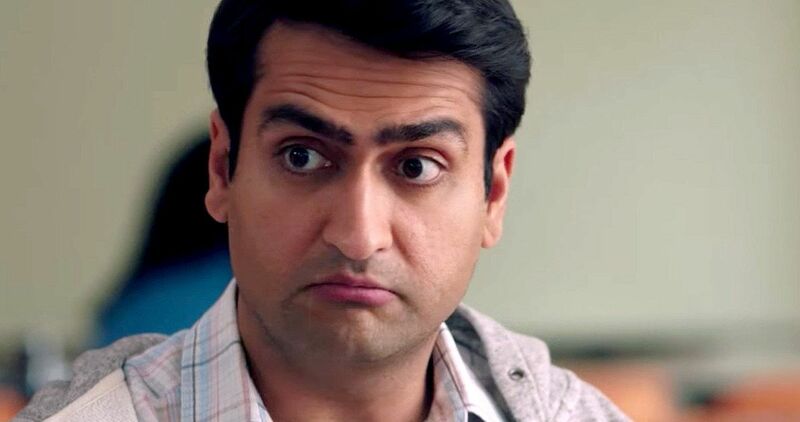 Kumail Nanjiani has been on the rise over the past few years. He stars on HBO’s Silicon Valley in addition to having memorable bit parts in comedies such as Mike and Dave Need Wedding Dates and Central Intelligence. But it was his work on The Big Sick that really put him on the map, not only as an actor, but as writer, since he and his wife Emily Gordon scored an Oscar nomination for Best Original Screenplay for their work. Nanjiani will be seen this summer alongside Dave Bautista in the action comedy Stuber. As for Issa Rae, she’s also been on the rise, thanks to her hit HBO comedy Insecure, on which she serves as a co-creator, writer, star and executive producer. Rae was also featured in the critically-acclaimed drama The Hate U Give. She’ll next be featured in the comedy Little. There is no word yet on a release date for The Lovebirds. However, with production scheduled to begin very soon, early/mid-2020 seems realistic. We should also be hearing word on who will be joining Nanjiani and Rae in the cast in the coming weeks. This news was first reported by The Hollywood Reporter.